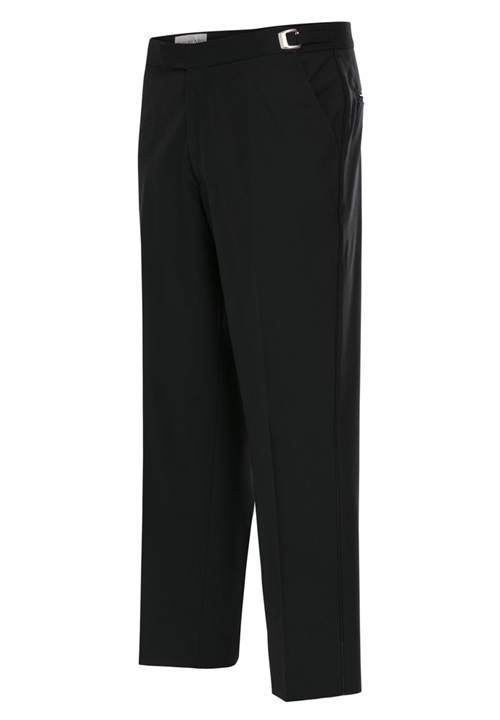 These Black Flat Front Trousers by Jean Yves feature the same adjustable waist and non-pleated front as the PNC00, but are a slightly slimmer "Modern fit". They have a black satin bead that runs down the side of the leg. There are two primary differences between a suit trouser and a tuxedo trouser. First, is an adjustable waist, which is not typically limited to rental formal wear. Second, is the presence of satin running down the side of the trouser legs.